Hey Guys. 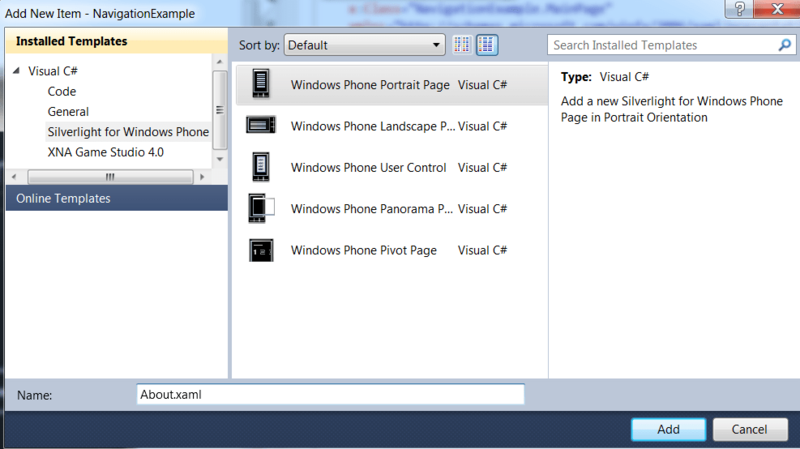 Hope you liked my previous post for creating a simple Windows Phone 7 navigation application. 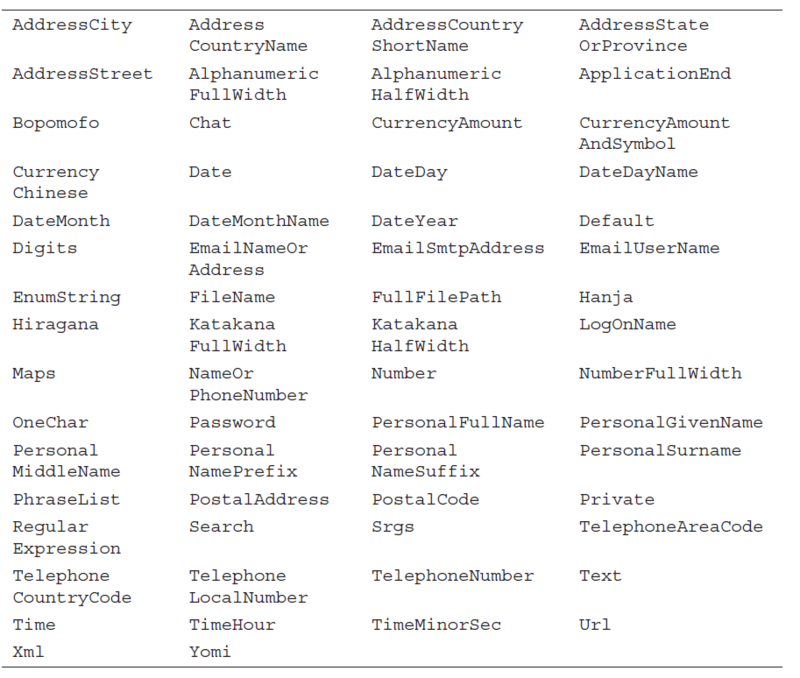 So in this post we will learn as how how can we optimize the virtual keyboard on WP7 for various input controls. Open the solution we created in the previous post for creating a simple Windows Phone 7 navigation application or else you can download the solution here. Select ContentPanel in the design surface in the centr and then double click the grid contol in the toolbar. 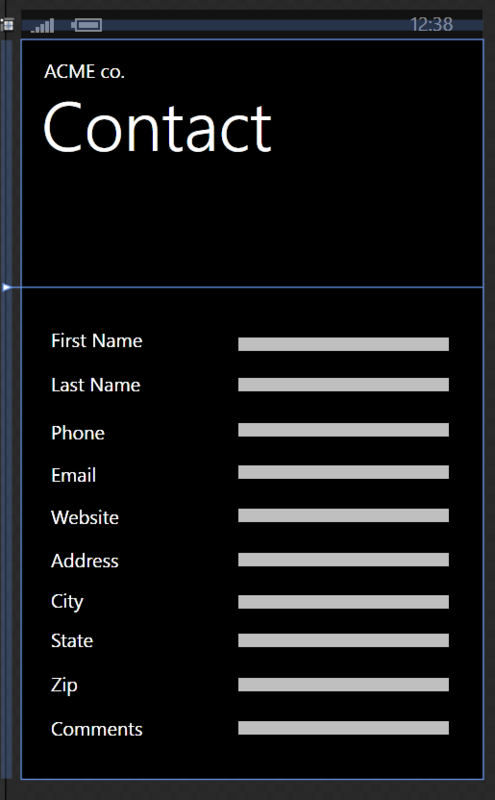 This will add a grid inside the ContentPanel. Now right click the grid and select AutoSize –> Fill. Now come the coolest feature in input controls. It is a property called InputScope. 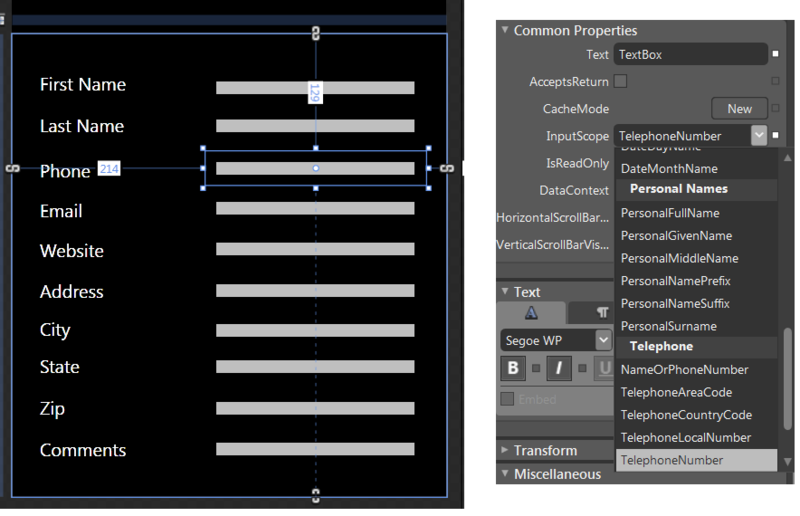 Now select the TextBox for Phone and go to properties –> common properties –> InputScope and set it to TelephoneNumber. Similarly change the testbox properties of other contols to below specified values and you will see the magic when you run the application and all this is done without writing any code. In a Windows Phone application it is highly probable that you will have more than one screen in your application and you will need to navigate between them. We can make use of the navigation framework for the same. This navigation will be very similar to navigating from one web page to another. 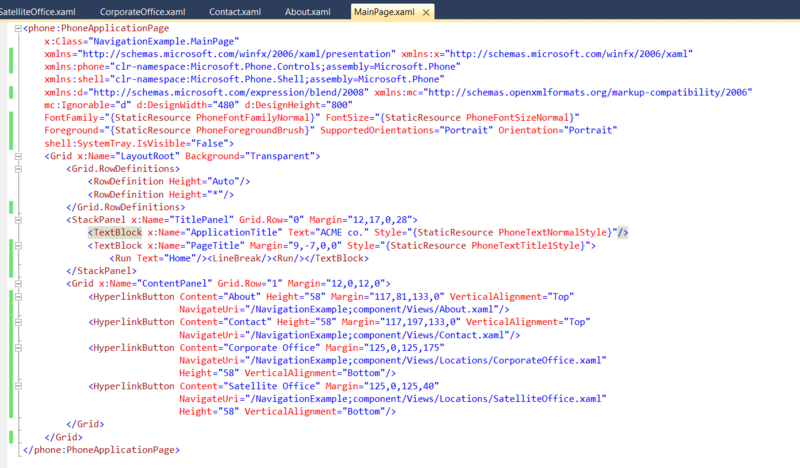 This navigation framework also supports query string. 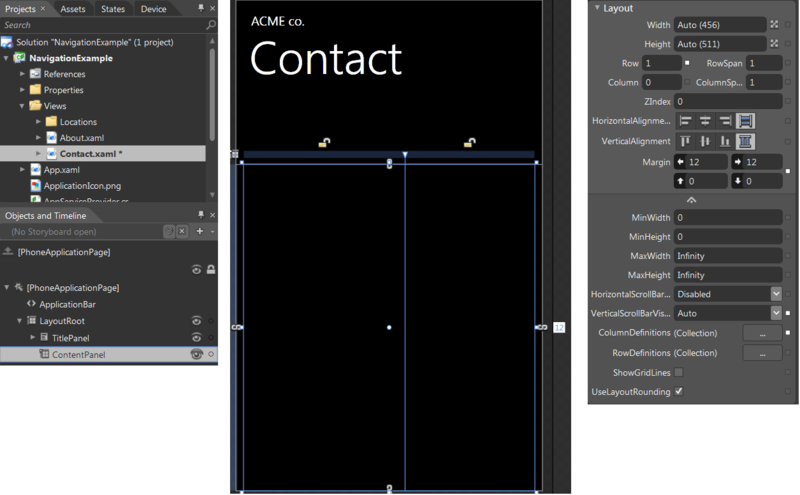 So without much talk let’s go ahead and create a simple business information application of financial company ACME and learn navigation in WP7. 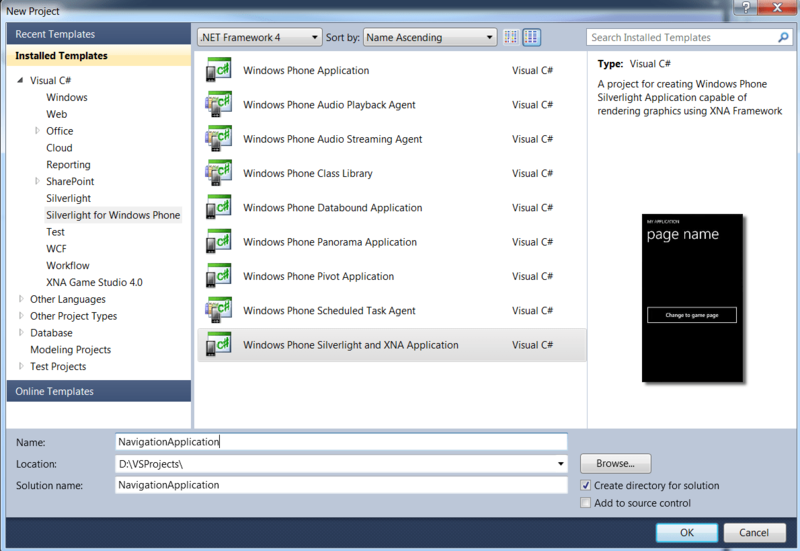 Goto visual studio 2010 and create new Windows Phone Silverlight and XNA Applicationand name it NavigationExample. 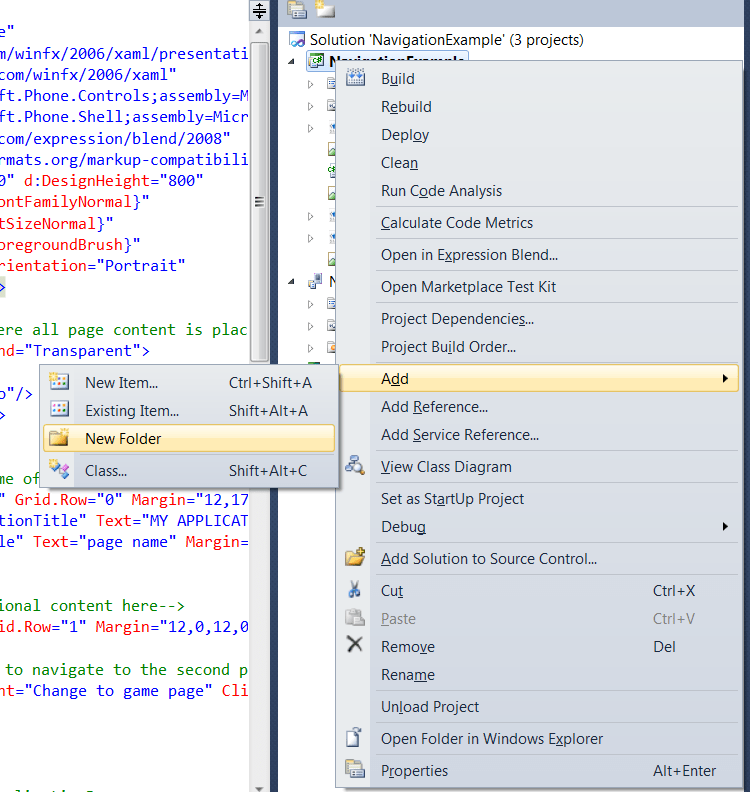 Add new folder to the NavigationExample named Views and inside Views add a new folder Locations. 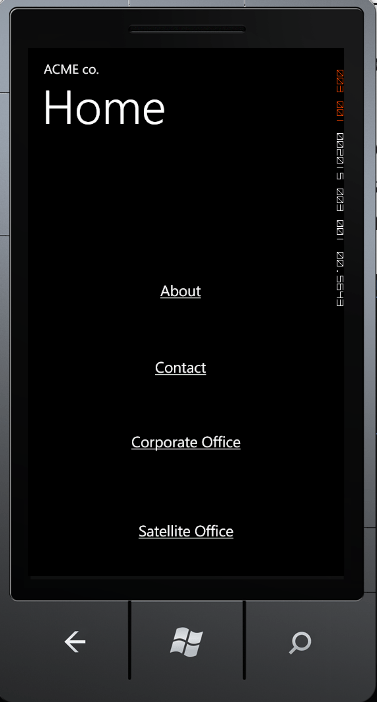 Similarly add Windows Phone Portrait Page named Corporate Office and Satellite office in the Locations folder. Now lets open the pages and edit the default text on the pages. 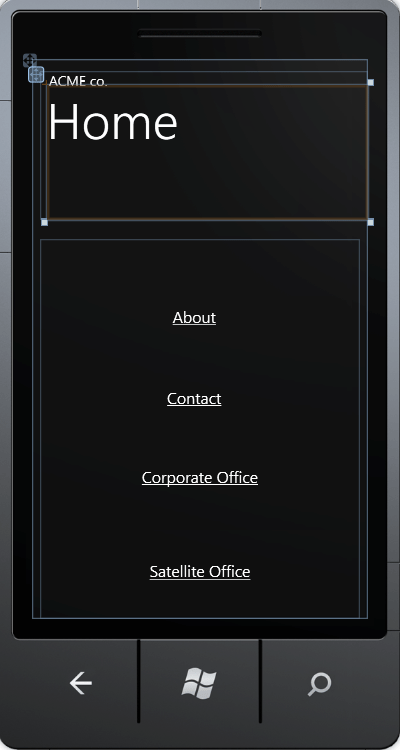 Now open about.xaml, contact.xaml, corporateoffice.xaml, satelliteoffice.xaml and edit the headings. Now run the application and you will see the screen as below. You can also navigate to different screens. I will be updating the links very frequently so keep following the link below.